It’s a few months now since Civil Service Live, the biggest learning event of the year for civil servants. This year’s CS Live was itself the biggest ever. Nearly 14,000 civil servants came along to this showcase of the best of the service in five cities across Britain. They came to look, learn, share and - crucially - take away something of what they learned to pass on to their teams and build into their jobs. Get involved in the vision for 'A Brilliant Civil Service' Find out more about how your team and your departments will be working to make the vision a reality. Then - go out, lead effectively, develop your skills, deliver the best service, and help us become "A Brilliant Civil Service" for the country, your fellow citizens and yourselves. Put users at the heart of what you do You’ll have heard some inspiring stories about how civil servants are improving outcomes for citizens. Take time out to understand the users of the services you provide. Consider what their needs are and try to put yourself in their shoes. Hone your leadership style Civil Service Learning offer full-day training sessions on some of the key leadership skills discussed at the event. Visit Civil Service Learning to search for and book courses. Enhance your skills If you went to one of the devolution sessions at Civil Service Live, you’ll have heard about some of the great opportunities to expand your horizons and grow your career. Visit The Devolution and You section of the GOV.UK website to find out more about short-term opportunities to work in other parts of the UK Government. Develop your future You might have heard about some of the great talent schemes on offer while you were at the event. Speak to your HR representative to find out more. Focus on professionalism You might have had a chance to join one of the profession sessions at the event, or to see the Government Digital Service or Government Communications Service hubs. We hope you left the event inspired to actively contribute to professional networks relevant to you. Make your office a great place to work You’ll have heard about some of the ways that the Civil Service is building a great place to work. Look for opportunities to collaborate or build networks. Find different ways to use your skills through volunteering. Model the behaviours you would expect of others and be supportive of your colleagues. Get a mentor The spot mentoring sessions have proved really popular at CS Live. Even if you weren’t lucky enough to get a slot, we hope it inspired you to get a mentor. Visit www.mentormatch.org.uk to register and find out more, or speak to your HR team or line manager about mentoring opportunities. 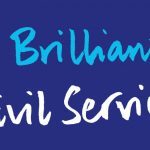 Be proud At Civil Service Live (and on this blog) you will have heard about some of the brilliant work going on across government. They show civil servants around the country already making the vision of ‘A brilliant Civil Service’ a reality and continuing to live by the enduring values of integrity, honesty, impartiality and objectivity that run through all that we do. Hi, the link at Number 3 doesnt work. I presume its because there is a spelling mistake ie leaning instead of learning. Thanks for spotting that mistake. The link should now work. As I am a grumpy old Civil Servant, this probably doesn't apply to me - but I have a couple of suggestions. 1. Get an IT system that allows you to read PDFs. 2. And this one is radical - pay a suitable wage close to the industry norm for a set of skills and experience. 10: (Firmly tongue in cheek) Keep telling the staff in every second blog we produce we are ‘A brilliant Civil Service’, and they may eventually start to believe it! How about, as part of this "Brilliant Civil Service" treating employees with the same respect that you expect us to treat YOUR customers? Yes, I read recently that part of being a Brilliant Civil Service is the slashing of our redundancy package - talk about a slap in the face! Perhaps forge closer links with the Civil Service in India? I hear their own has been quite good for a while. I retire at the end of October 2016. I returned to work for the Inland Revenue/HMRC in 1988 (1966-1971 previous service). The positive respect that my employment carries has been almost palpable in certain situations outside of the office. In a few situations, the respect has been negative!!! I never reached the giddy heights of promotion, having AA status. The sense of stability provided by my employment has carried me through very many personal family crises. Not forgetting, of course, that only 90% of our Civil Service workforce can actually be "brilliant". By Cabinet Office decree, 10% of the staff have to be marked as poor performers (regardless of whether or not that title is actually justified).